Renowned superyacht builder Oceanco has confirmed that it will once again sponsor the Young Designer of the Year Award 2014 in conjunction with Boat International Media. 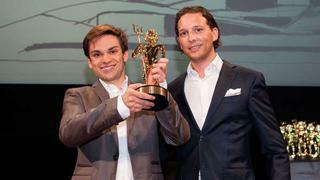 The Young Designer of the Year Award is presented during the ShowBoats Design Awards, which will take place 24 February 2014 at Swarovski Crystal Worlds in Wattens, Austria. The ShowBoats Design Awards are held on the first evening of the Superyacht Design Symposium, a two-day design-focused events for designers, superyacht owners and industry professionals. The aim of the Young Designer of Year Award is to seek out and recognise young talent in the superyacht industry. Entries are invited from current students and practising yacht designers who will be 25 years old and younger by 1 January, 2014. An esteemed panel of practicing superyacht designers will choose five finalists competing for the Young Designer of the Year Award, all of which are invited to attend the ShowBoats Design Awards, and will benefit from opportunities to advance their design careers. The finalists will received complimentary access to the 2014 Superyacht Design Symposium and an all-expenses paid visit to Oceanco’s shipyard in The Netherlands. A further discretionary prize will offer the highest ranked student of yacht design a two-week work experience placement in an established yacht design office. The designer winning the top prize of Young Designer of the Year will receive a gold Neptune trophy and €5,000 cash prize. Entries close very soon for the Young Designer of Year 2014 competition. Boat International Media have received an astounding quantity of exceptional entries and look forward to accepting further submissions until 12 pm (GMT) on 9 January, 2014.